When you visit the AdTarget website, the first paragraph of text informs you that you lose more than 98% of visitors not converting them into customers. Neither of them makes a purchase or register on your e-commerce website. That’s a big problem for all digital commerce, and there are no exceptions. 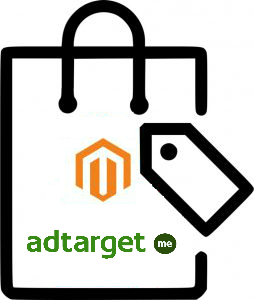 Luckily, you can increase the conversion by implementing Magento 2 AdTarget integration. In the following post, we describe the platform and provide our thoughts on the most natural connection between the two platforms. The core goal of the AdTarget platform is to increase the conversion rate. There are thousands of tools and services that share the same goal, but each of them has its features, and AdTarget is not an exception. The platform allows leveraging retargeting as many competitors do, but what are its advantages? 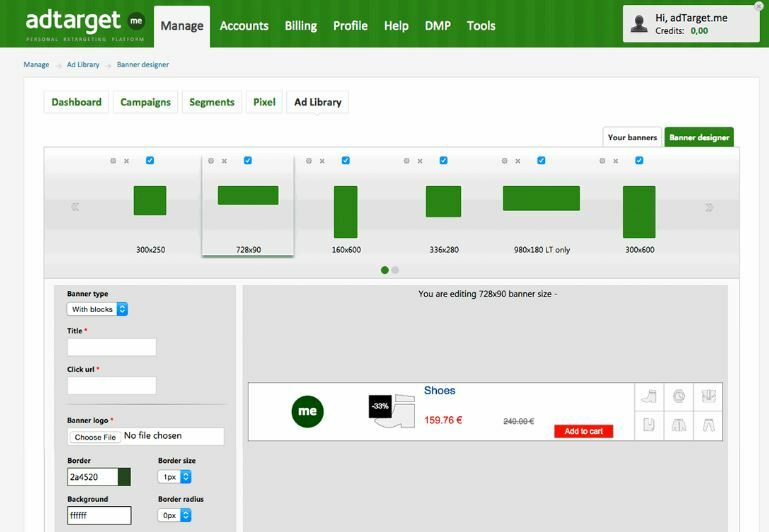 AdTarget is based on multiple smart algorithms that enable precise targeting. It means that your store visitors will get ads that are closely related to your store’s content they’ve been previously interacting with. The leading market giants implement the same approach, but in most cases, it is not affordable for small companies (because of too high expenditures). With AdTarget everyone can feel the power of retargeting. As a store owner, you can always get a deep insight into what’s going on with your retargeting campaign. Feel free to leverage the platform’s tracking system to monitor bit rates, schedules, and other parameters of each campaign. Furthermore, the service offers a reliable and easy-to-use tool for designing highly personalized banners that increase the conversion even more. To launch Banner ads across multiple ad networks, exchanges, and mobile/desktop devices, you need to import products into the system. While everything can be combined in one campaign, the question about the Magento 2 AdTarget integration is still unanswered. As we’ve just figured out, it is necessary to move product data to the platform to create a highly efficient retargeting campaign. AdTarget accepts XML files, but the default Magento 2 export format is CSV. Therefore, you need a Magento 2 AdTarget connector but beware of tools with limited functionality since they will only waste your time and money providing additional headaches instead. But how bad can they be? First of all, a default third-party connector may be limited regarding data it exports. If a third party platform requires product images, but a connector can only create an XML output, you will have to move pictures manually. In case of two products, it’s not a problem, but what if you have to move hundreds of them? Another similar problem is the lack of the import functionality. For instance, your connector works well providing the selected platform with all the required data, but the platform generates the output that is required by Magento. If the connector doesn’t know what to do with the output, you will never get it in the backend, unless you do the painful routine manually or install another extension that is responsible for import. At the same time, your rapidly growing business may require new and new integrations, and in case of highly-specified connectors, it means that you need more and more new tools to be purchased. Luckily, it is possible to replace all limited modules with one fully-featured solution that offers integration with any third-party service and is responsible for both import and export. Meet the Improved Import Export extension for Magento 2. The tool not only wholly revamps the default Magento 2 routine, but it also sets hight market standards to competitors due to multiple reasons. The Improved Import Export solves the problems mentioned above. It can easily export all data to the selected platform and get the appropriate output back. And you can do this trick with any third-party service that supports data transfer via CSV, XML, TXT, Google Sheets, Excel, or even API. Need a unique connection format – feel free to contact our specialists. They will always inform you about custom development opportunities! Besides, the extension leverages cron, so you can quickly create schedules for import and export processes. Feel free to automate your integration with any third-party services sending and receiving data when it is required. And since we live in a world of multiple formats and standards, it is often impossible to take the data output from one service and move it to another even if the same file format is used. The file structure also means a lot. And with the Improves Import Export extension, you can apply mapping to both import and export files. Map the default Magento 2 attributes to attributes of any third-party platform and both will be seamlessly connected. Furthermore, we offer mapping presets – presets that enable fully automated mapping. Select the desired platform, click one button, and the Improved Import Export extension will apply the corresponding mapping structure to import/export files. There is no need to spend much time even on creating a precise mapping scheme – everything is already done! Please, contact the support team for details on integrations of your choice.